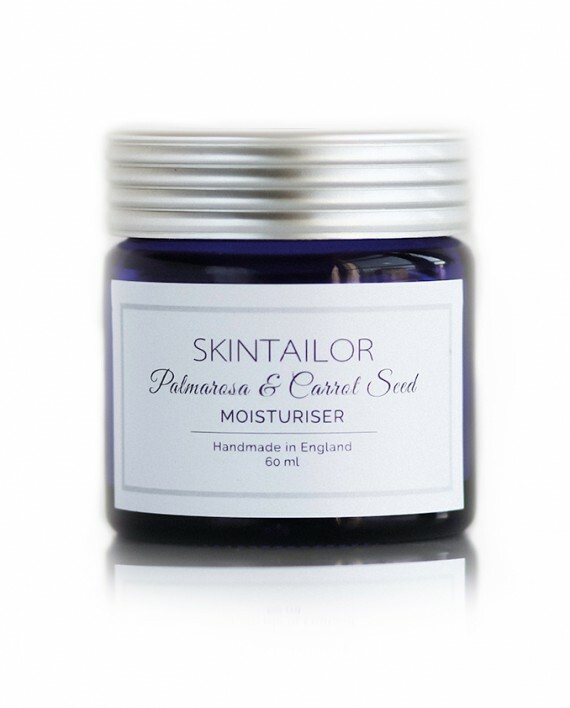 A light and naturally scented moisturiser for dry and sensitive skin helps to balance, purify, nourish and soothe the skin without causing redness or irritation. 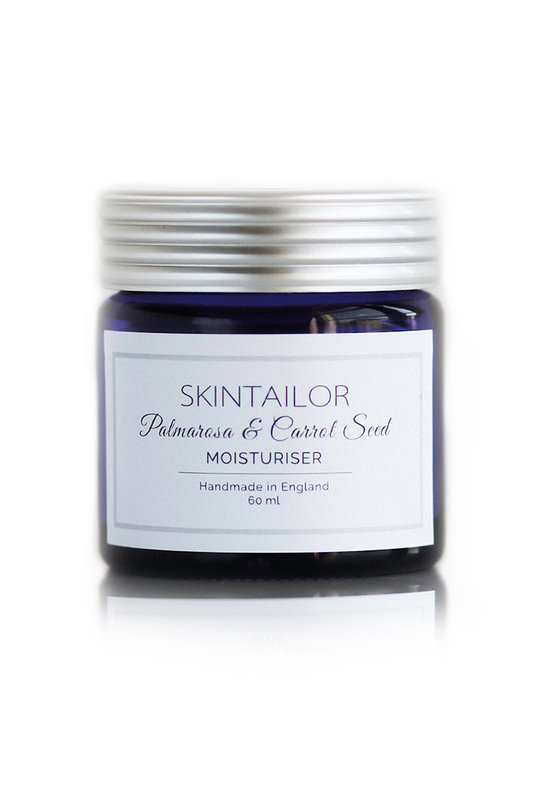 Carrot seed nourishes, tightens and rejuvenates the skin to keep it elastic and youthful and helps to unveil its natural glow and beauty. It helps to regenerate skin tissues and removes toxic build-up in the skin to improve the complexion. Palmarosa is known to be an excellent protectant against any skin bacteria which cause acne. It doesn’t only protect your skin from acne but it also helps to balance the hydration levels and stimulate the cells. Can be used to prevent acne scaring and to fight any minor skin infections.